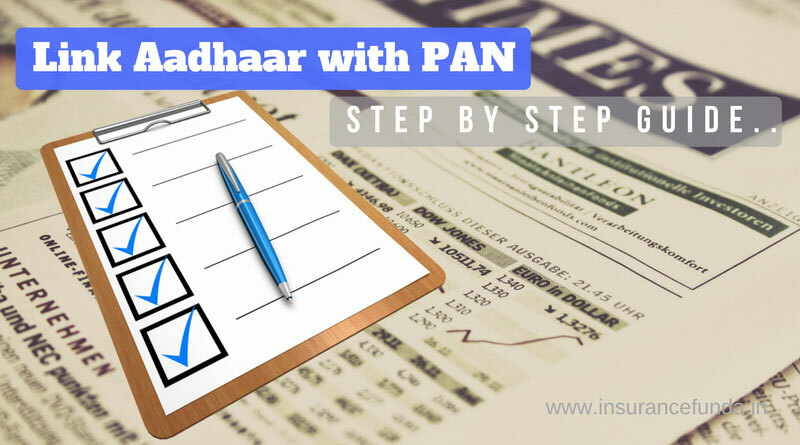 Link Aadhaar to PAN – online and offline methods – simplified step by step guide. Income tax department has informed that linking of Aadhar number to the PAN card is mandatory for income tax return filing and other allied services. Even though the the initial dead line, 30th June 2017 for PAN Aadhar linkage process is already over, major chunk of the PAN holders are still in dark about the way to complete the process successfully. As many people who tried do the linking process has to end up with error messages, it has created a panic ‘pan‘ India. But the good thing about it is that, the process is really simple and can be completed easily by following this step by step guide. I will try to make it as simple as possible. Link Aadhaar to PAN – Who should do it ? You have a PAN Card and you are filing income tax returns – You will have to do the linking process compulsorily. You have a PAN Card but your are not filing income tax returns – For the time being you can avoid the PAN – Aadhaar linking but still I recommend you to complete the linking process. You do not have a PAN card but want to take it – You need not worry about linking process. Your new PAN card, as and when it is available for will be already linked. You have an Aadhar card but no PAN so far – This process is not for you. If your Aadhaar card has the name which you want to keep, you will have to change the name in you PAN Card.You can do the linkage process only after correcting your name in your PAN card. Name correction can be done either through PAN servicing centres or through online. You can correct the PAN name online here at the NSDL web site. If the name shown in your PAN card is the correct one, then you will have to change your name in the aadhar card. You can easily update your Aadhar details here at the UIDAI website. You can view a video given below by UDAI to understand the complete process of making updates to your Aadhaar details. 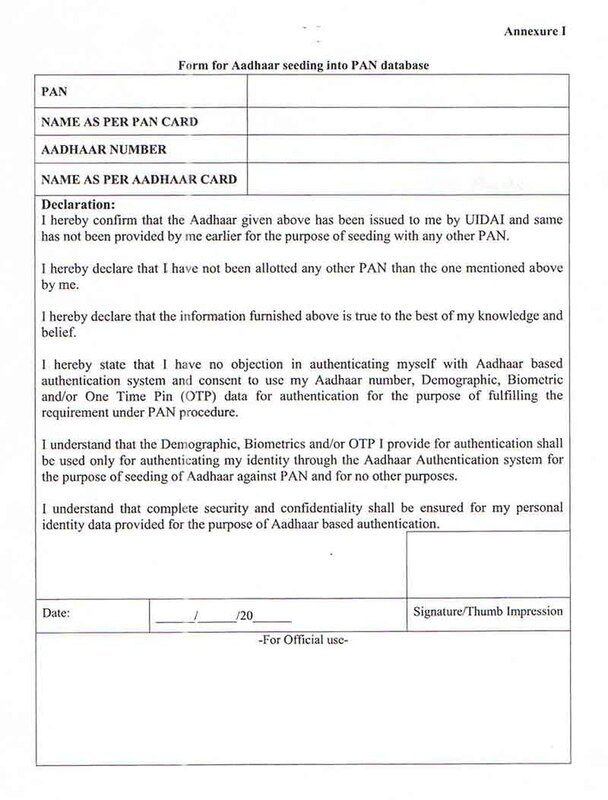 Possibility 2 – Your Name in PAN and Aadhaar card are same. Great! – You can proceed for PAN – Aadhaar Linkage as you are eligible for the linkage process. Proceed to the Step 2 given below to Link Aadhar and PAN through Online method. The best and easiest method to link Aadhaar to PAN is the online method. It is always advisable to try this method first. Please remember that you can use this method if and only if your name in PAN and Aadhar are same. Other wise please do the needful to correct it as mentioned in the previous paragraph. Use can click here to reach the link provided at Income tax website to do the linking process. Enter your PAN and Aadhaar details as shown in the model given below. If your Aadhaar card shows only year of birth then you will have to check the box provided. Enter the code as shown in the CAPTCHA image and click the ‘link Aadhaar‘ Button. You will get a message if the linking process is completed successfully. Many a times this need not happen. You may get an error message as well. Relax! No need to panic. We can sort out this issue.. IF your PAN and Aadhar names perfectly match and still you cannot link them then try following steps. Clear the browser history and browser cache. If you are still getting an error message, then there are alternative methods which we can try. Income tax department has provided several alternative methods to link your Aadhaar card which you can check here. How to link Aadhaar with PAN using SMS facility? Please Note# You can use this facility only when the name in Aadhaar and PAN are same. Further, the number registered with Aadhaar card and IT Portal also must be same. You have to send SMS to 567678 or 56161 in the following format. SMS to 567678 or 56161 as given below. For those who are unable to complete the linking process successfully by the above mentioned methods, Income Tax department has come up with an off line method which is explained in details here. How to link Aadhaar to PAN Card OFFLINE by downloading form. Income Tax department has issued a special form to link Aadhar card to PAN by offline method. Click the picture to download form. You can download the form by clicking on the Thumbnail of the form shown here. You will have to personally visit designated PAN service centres with filled form.One thing to remember is that you will have to show the original PAN cards and Aadhar card at the designated PAN service centres. You will have to complete Biometric authentication process to link Aadhaar with PAN Card in the offline method.PAN service centres may charge a nominal fee for completing process as it is not a free service. If you require any more clarifications, leave a comment at the comment box provided below.